March 18, near the buildings of Russian embassies in the capitals of European states actions were held against the illegal presidential elections in Russia in the annexed Crimea. In Bulgaria, activists came out with slogans: "No to illegal elections in Russia" and "Crimea is Ukraine". “Stop the hybrid war of Russia against Bulgaria! No to illegal election of Russia in the occupied Crimea! 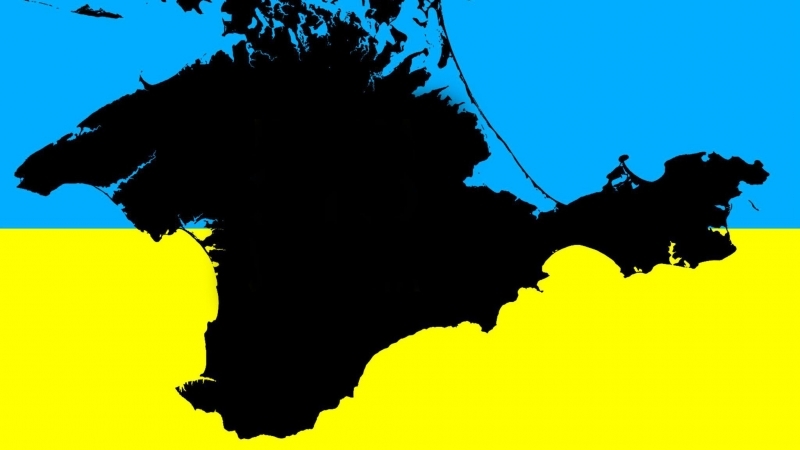 Crimea is Ukraine! These slogans of demonstrators sounded on the protest,” the participant of the event Olena Koceva reported. A protest actions was also held in Madrid. Caution, video contains profanity. Ambassador of Ukraine to the Czech Republic Yevhen Perebiynis also published a post on Twitter about the action outside the Russian embassy. Earlier it was reported that in St. Petersburg, RF, the security forces detained activist Mikhail Gerasimov. The man came out with a one-person picket, with the flag of Ukraine in his hands and a poster with the text "For this flag the Crimean Tatar Reshat Ametov was kidnapped and killed by the occupiers".